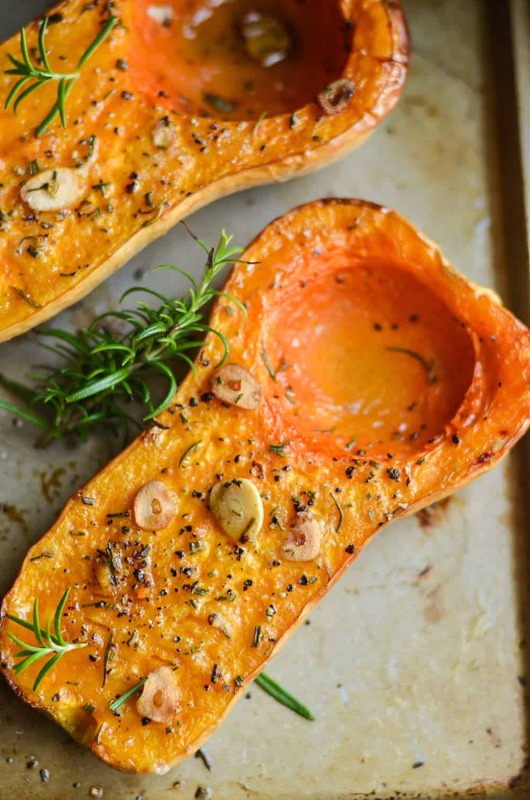 The garlic and rosemary make this roasted butternut squash recipe! 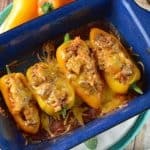 Perfect for a weeknight dinner or even a side for a holiday. 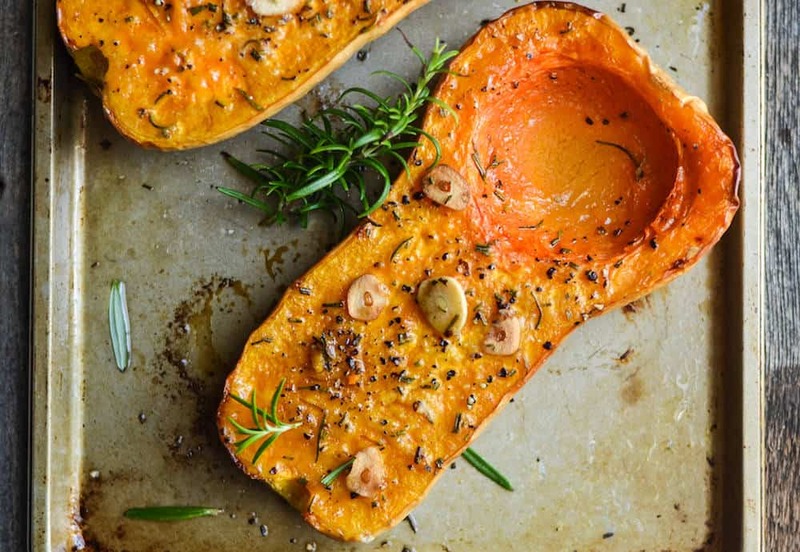 I’m going to be honest, I didn’t like butternut squash until I was an adult. I didn’t appreciate the entire cucurbits family of veggies until adulthood, and I’m guessing I’m not the only one. 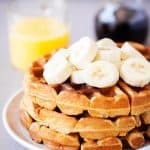 Have you ever had a food that made you gag that you eventually ended up loving? Squash was that for me. 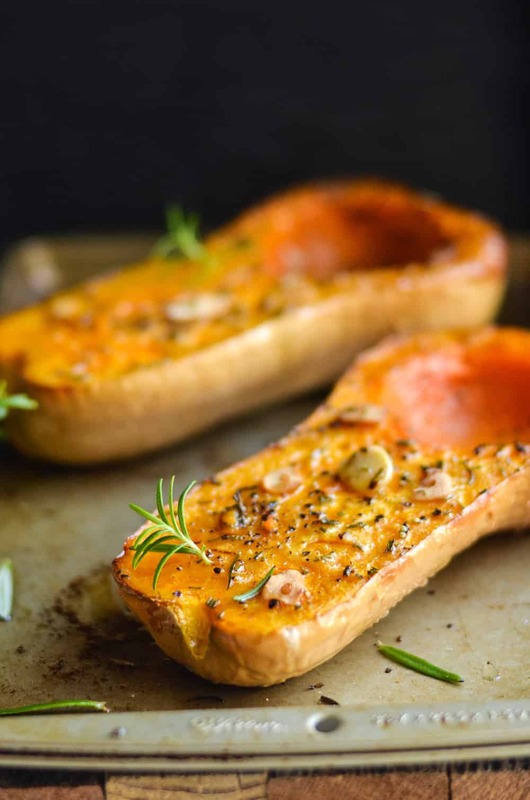 Obviously I gave it a try again and ended up loving it, and that brings us to this roasted butternut squash recipe with rosemary. It’s really tasty. 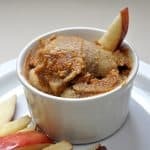 And perfect for a side item for a weeknight dinner, or for holidays like Thanksgiving or Christmas. 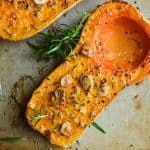 Really anytime during the fall is a great time for squash, especially when it involves butter, garlic, and a healthy dash of rosemary. 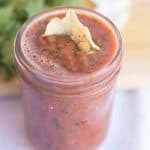 Learn how to make this easy recipe using the instructions below. Also remember that one squash serves two people, so double or triple it (or more) as need be. 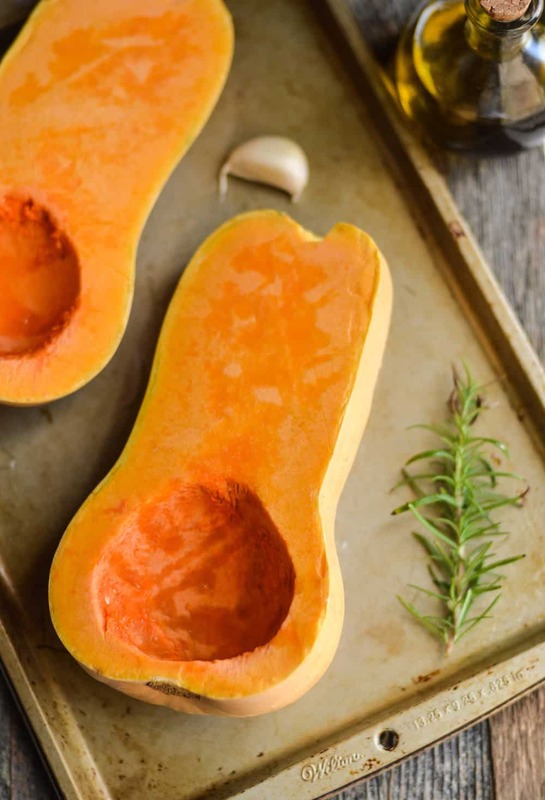 Place the halved butternut squash on a cookie sheet lightly greased with oil. 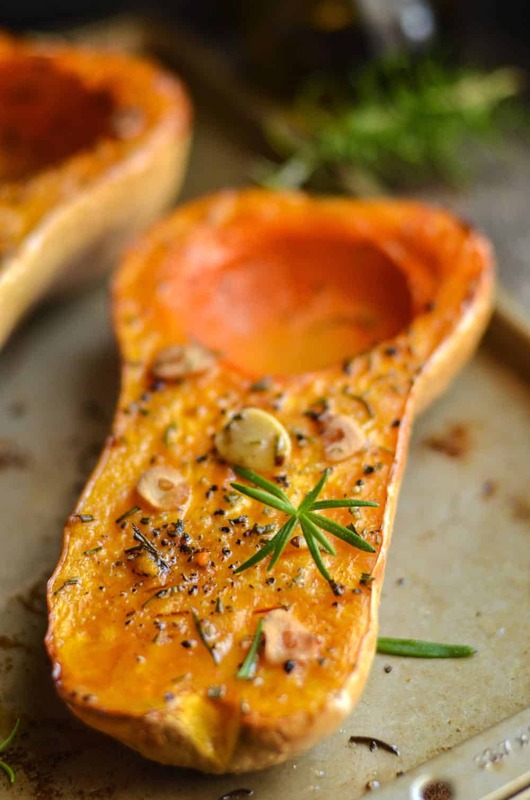 Drizzle the olive oil over the squash, then put dabs of butter on both halves. Season with salt and freshly cracked pepper. Sprinkle on the chopped rosemary and arrange the thinly sliced garlic randomly. Bake for 45 minutes till fork tender. Scoop out and serve. Enjoy. 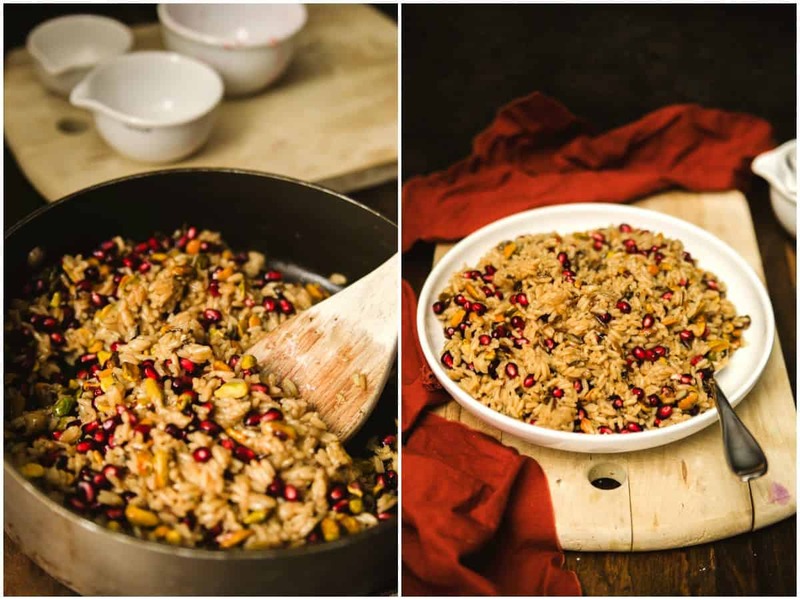 If you like this recipe, try this pomegranate and pistachio wild rice pilaf. It’s perfect for the holidays too!